from the Band’s first half dozen albums from Dirty Deeds to Highway to Hell with Bon’s inimitable attitude, style and charisma. Podge then dons the flat cap as Geordie vocalist, Brian Johnson, whom AC/DC turned to in order to fill the void left by Bon. Brian’s searing vocals Iced Back in Black, one of the best-selling rock albums of all time! Brian has been the voice of AC/DC for well over thirty years and like a good wine he’s matured with age. 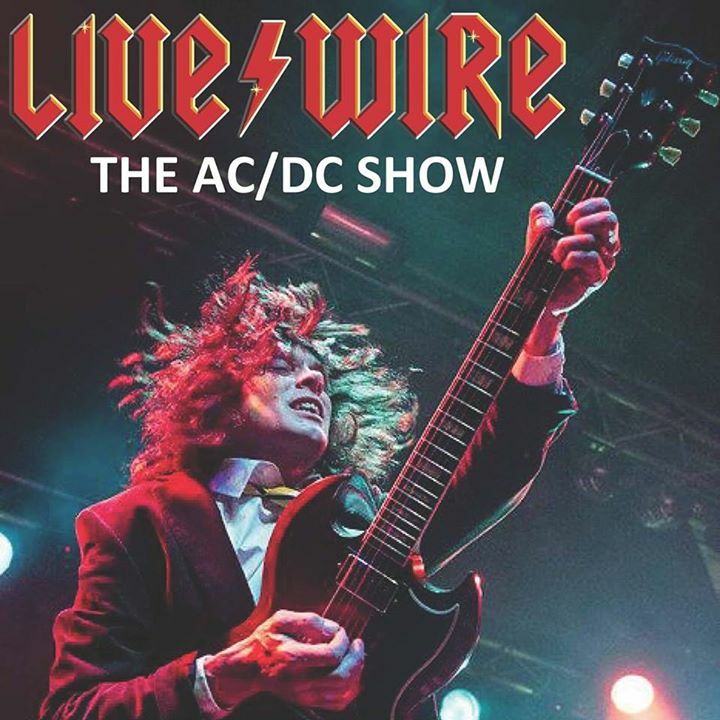 Podge brings the Live/Wire show bang up to date with classic ‘Brian’ songs and includes some tracks from AC/DC’s recent and hugely successful new album, Rock or Bust. There’ll also be one or two gems thrown in for the aficionados! We’d be hung, drawn and quartered if we didn’t play all the classics and Back in Black, Rosie and Highway to hell are all there, the songs keep on coming until the cannons fire ceremoniously to bring the evening to a superb crescendo. If by this time you are still standing…we salute you! Long Live AC/DC, Long Live LIVE/WIRE and the AC/DC Show !